There are few appliances in a home that are more important than the Hot water heater. Having hot water instantly available is a one of the most relied upon luxuries in an industrialized society. However, most of us don’t think too much about our water heating appliance until it is no longer working. 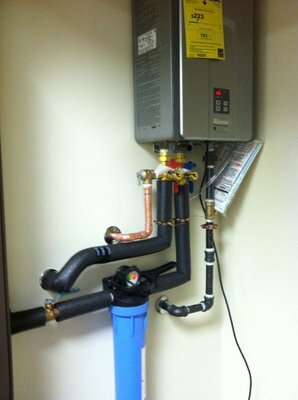 Nevertheless, hot water heaters run every day of the year performing a wide range of functions in a 24 hour period. Therefore it’s no surprise that they will eventually suffer from a deterioration due to wear and tear. Regular maintenance can certainly keep it running longer. 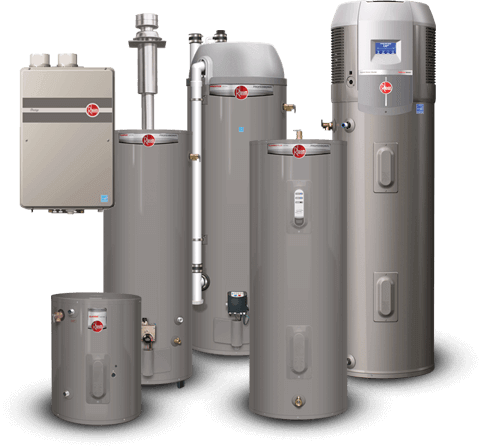 However, one day the time will come when a water heater repair will no longer be sufficient, and as a result your equipment will have to be replaced with a new Tank or Tankless Water Heater. Homeowners typically notice this inconvenience first. Many times it can be seen when you are constantly running out of hot water before finishing a shower. Other times, it can result in family members racing to jump in the shower first so as not get stuck bathing with lukewarm or even cold water. Generally speaking, the slow recovery of hot water or inconsistent temperature can be caused by a variety of issues. Ranging from sediment build up, a missing dip tube, or in some cases a dying hot water heater. In this case you should only see leaks from your water heating equipment on the pressure relief valve. In order to regulate the pressure in the tank, this valve will release a little bit of water. However, if water appears anywhere else, you may need to ultimately repair your water heating equipment. In the event that the leaks are frequent, then it may be time for a water heater replacement. By and large, water heaters are designed to resist corrosion for several years. So whenever corrosion does appear, it is likely not good news. The interiors are built with lined glass anode rods that keep corrosion away from the tank. However, the aging process can cause corrosion to eat away at the foundation of your system over time. Water that is discolored or has an unusual odor is also a sign of a corroded tank. Ordinarily If you see corrosion, it’s usually a signal that your hot water heater needs to be replaced. The above symptoms are all indications that an issue may exist in your hot water heater. Often, the initial signs will not be noticed, but the problems can and usually will get worse. Proper maintenance by a professional water heater service can guard against many of these issues from occurring. Repairing home appliances is a task that no one looks forward to, hot water heaters above all. This because they are an integral part of our daily functions. Making it especially important to call a water heater repair service as soon as you notice a problem. In addition, you should have your hot water tank flushed once a year to remove built-up sediment. After that every three years it should be checked in detail for corrosion. Sooner or later, most water heaters will start to malfunction due to age. With this in mind, as the unit gets older it will typically require more repairs. In conclusion these issues can become serious and ultimately lead to water damage in your home. During a repair appointment, Suburban Plumbing will firstly inspect your system top to bottom. Secondly we will diagnose any issues, and finally recommend water heater repairs if they are needed. Our knowledgeable and service-oriented plumbers are dedicated to providing you with a precise diagnosis and reasonable solution. The reality is that even with regular and proper maintenance, all major appliances will fail at some point. Everyone’s water heating equipment will eventually succumb to the degenerative effects of time. While performing your own water heater installation may be tempting, it is not advisable. There are many reasons why calling a professional plumbing service is the better option. 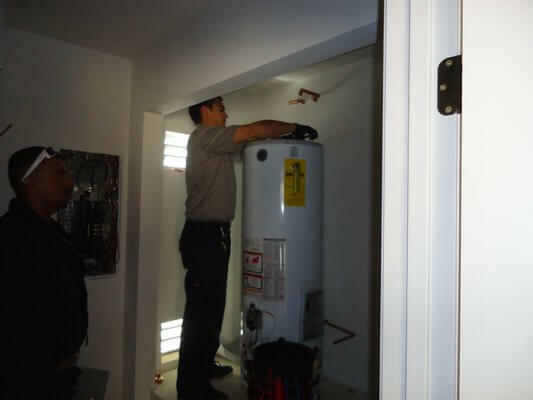 Years of in-depth knowledge and experience allow our skilled plumbers at Suburban Plumbing to install your water heater with speed and efficiency. As a result, this lessens the amount of time that you and your family will be faced with the inconvenience of being without hot water. Our team at Suburban Plumbing has extensive technical training In working with plumbing equipment and water heaters. Consequently, we possess the skills and expertise needed to understand the specific requirements of all equipment.  For example, ensuring that your gas or electric water heater is installed correctly and will work properly for many years. 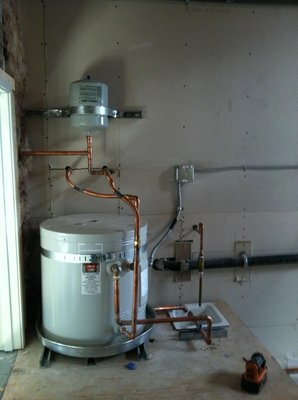 Installing a gas water heater can be potentially dangerous because the installation process requires attaching a gas line from your house to the tank. This task should always be performed by a professional plumber to ensure the safety of you and your family. At Suburban Plumbing, there is no question we view customer satisfaction as our highest priority. Furthermore, we strive every day to always improve our services whenever it is possible. Our team understands the huge inconvenience that malfunctioning gas or electric water heaters can place on your family. It is for this reason we are ready to provide you with timely efficient services to address your appliance issue. 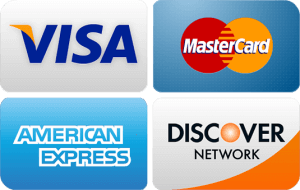 In the event you require equipment repair or an installation, we have you covered. 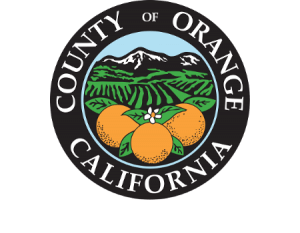 You can surely count on our professional plumbers to provide the finest water heater services in Orange County. 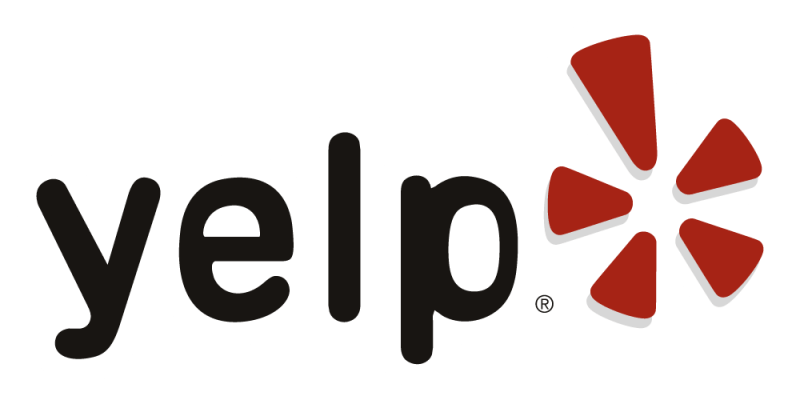 We are truly dedicated to resolving your issues, and finally bringing comfort back to your home or place of business. If your water heating equipment is no longer functioning properly, contact Suburban Plumbing to schedule an appointment for your water heater repair, replacement, or new water heater installation today.